Since 1972, the Foxfire books have preserved and celebrated the culture of Southern Appalachia for hundreds of thousands of readers. In Travels with Foxfire, native son Phil Hudgins and Foxfire student Jessica Phillips travel from Georgia to the Carolinas, Tennessee to Kentucky, collecting the stories of the men and women who call the region home. Across more than thirty essays, we discover the secret origins of stock car racing, the story behind the formation of the Great Smoky Mountains National Park, the vanishing art of gathering wild ginseng, and the recipes of an award-winning cookbook writer. We meet bootleggers and bear hunters, game wardens and medicine women, water dowsers, sculptors, folk singers, novelists, record collectors, and home cooks—even the world’s foremost “priviologist”—all with tales to tell. 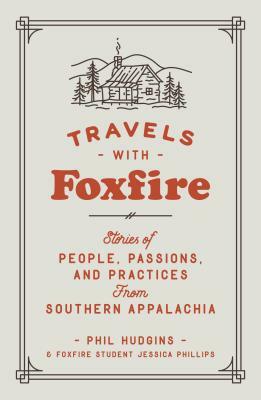 A rich compendium of the collected wisdom of artists, craftsmen, musicians, and moonshiners, Travels with Foxfire is a joyful tribute to the history, the geography, and the traditions that define Appalachian living. Founded in 1966, FOXFIRE is a nonprofit education organization. Foxfire's learner-centered, community-based approach is advocated through The Foxfire Museum and Heritage Center and grounded in the Southern Appalachian culture that promotes a sense of place and appreciation of local people and culture as essential educational tools.